This quality ring cushion is for those that don't like all the frills and bling. 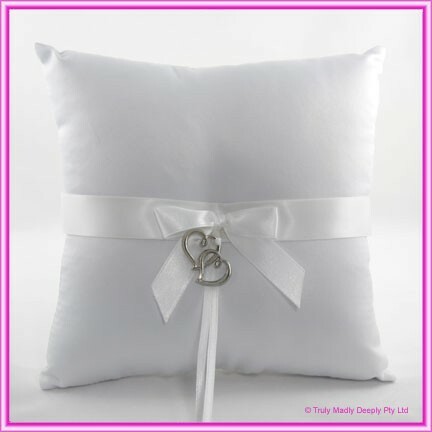 It features a beautiful quality white satin cushion with a white satin ribbon and a pair of swinging silver metal hearts. Ring pillow measures approx. 16x16cm. Matching guest book, photo album, knife & cake server and even a garter are also available in this collection. See below for details.